The Suffolk coast has long been a popular destination for visitors, who come to enjoy its tranquillity and abundant wildlife, especially birds. 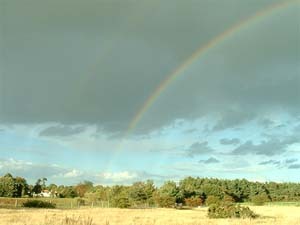 Designated an Area of Outstanding Natural Beauty, the district's biological diversity derives from its unique combination of coastal wetlands, heaths, and extensive woods. This study-day explains how this distinctive landscape - the Sandlings or, to use an older name, the 'Sandlands' - evolved over centuries through the interaction of people and nature. We shall examine the origins and development of both the wildlife habitats and the wider landscape of fields, farms, towns and settlements. The landscape was firmly shaped by the hand of man. Yet at the same time, the character of local communities has itself been moulded by nature - and in particular, by the poor acid soils and the ever-changing form of the coast. Tom Williamson read history and archaeology at Jesus College, Cambridge, before completing his PhD. there on Roman and Medieval Settlement in North West Essex. Since 1984 he has held a Lectureship in Landscape History at the University of East Anglia. Special interests include: ‘fringe’ archaeology and popular perceptions of the past; the history of water management (drainage, irrigation, and the exploitation of wetlands); the survival of prehistoric/Romano-British field systems within the modern landscape; the archaeology of hunting and trapping; and the origins of medieval systems of land division and territorial organisation.